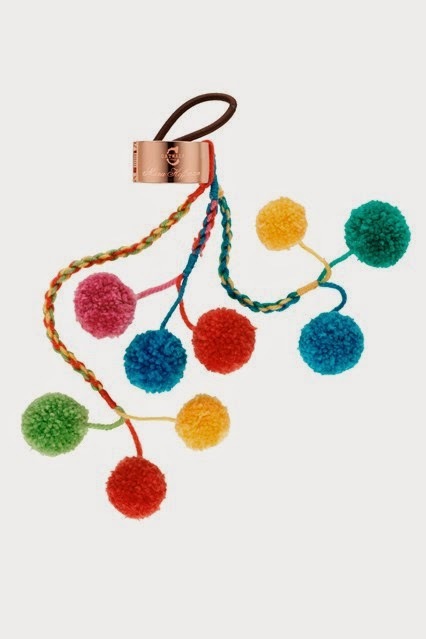 When I was a little girl, I used to spend hours at my Nanny's house pushing small balls of yarn through and around two doughnut shaped pieces of card to make pom poms. I see now it's a great way to keep children occupied! I had several wooly pom poms in odd colour yarns, none of which I knew what to do with. I just wanted to make the next one! In the last few years, the pom pom, both paper and yarn, has returned to fashions and to all things craft and my fingers are itching! I once purchased a gadget that was going to make pom pom making quick and easy. I had a demo from one of my crafty friends but mine broke as soon as I tried it, so I gave up. product is. With promises of being able to "make up to 20 pompoms at a time all sizes on the same device" I am super excited to track Mulitpom down at the event. I am daydreaming of pom pom wreaths, vases of yarn pom poms and embellishments. I think my next mission will be to find some beautiful yarn and indeed paper! 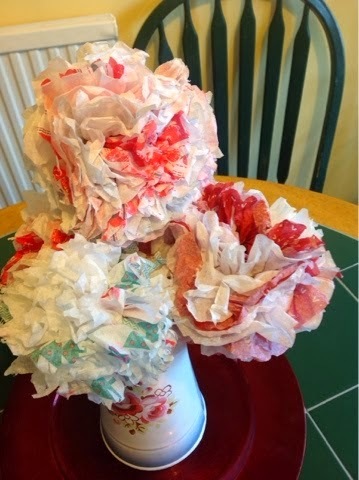 Paper pom pom are also really popular and I love up cycling and making them with napkins (here is a tutorial on how to do this) but I would love to use the event as an excuse to find som some lovely tissues papers to make something stylish. With nearly 300 exhibitors due to attend, I'm sure this task won't be too hard! What is the best pom pom project that you have spotted? 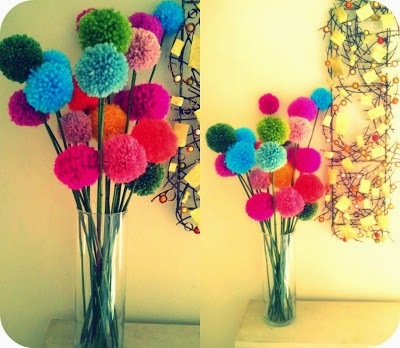 Do you have a project to share where you are using pom pom's in their glory? Pop any links in the comments below, share on the Facebook page or tweet me using #pompompower. Disclaimer: Two out of the three photos used in this post are not mine and have been used from the world wide web. I did not make these items or take the photos. The original sources of the photos with full credit are linked to the images. Please click them to be taken to the original source. It will come in handy for the next Big Knit when I need to embellish all those hats!